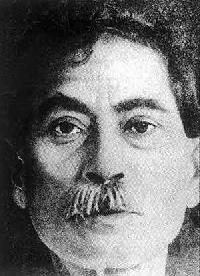 After quitting his job, Premchand left Gorakhpur for Benares on 18 March 1921, and decided to focus on his literary career. Till his death in 1936, he faced severe financial difficulties and chronic ill health.In 1923, he established a printing press and publishing house in Benares, christened Saraswati Press. The year 1924 saw the publication of Premchands Rangabhumi, which has a blind beggar called Surdas as its tragic hero. Schulz mentions that in Rangabhumi, Premchand comes across as a superb social chronicler, and although the novel contains some structural flaws and too many authorial explanations, it shows a marked progress in Premchands writing style. According to Schulz, it was in Nirmala (1925) and Pratigya (1927) that Premchand found his way to a balanced, realistic level that surpasses his earlier works and manages to hold his readers in tutelage. Nirmala, a novel dealing with the dowry system in India, was first serialised in the magazine Chand between November 1925 and November 1926, before being published as a novel. Pratigya (The Vow) dealt with the subject of widow remarriage. In 1928, Premchands novel Gaban (Embezzlement), focusing on the middle class greed, was published. In March 1930, Premchand launched a literary political weekly magazine titled Hans, aimed at inspiring the Indians to mobilise against the British rule. The magazine, noted for its politically provocative views, failed to make a profit. 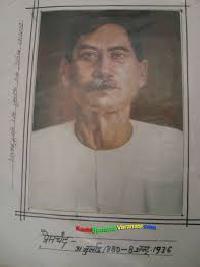 Premchand then took over and edited another magazine called Jagaran, which too ran at a loss.In 1931, Premchand moved to Kanpur as a teacher in the Marwari College, but had to leave because of difference with the college administration. He then returned to Benares, and became the editor of the Maryada magazine. In 1932, he published another novel titled Karmabhumi. He briefly served as the headmaster of the Kashi Vidyapeeth, a local school. After the schools closure, he became the editor of the Madhuri magazine in Lucknow. 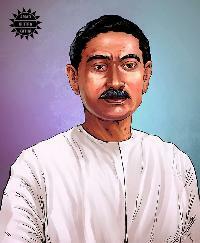 Premchand is considered the first Hindi author whose writings prominently featured realism.His novels describe the problems of the poor and the urban middle class. His works depict a rationalistic outlook, which views religious values as something that allows the powerful hypocrites to exploit the weak. 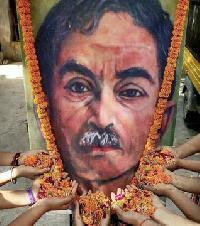 He used literature for the purpose of arousing public awareness about national and social issues and often wrote about topics related to corruption, child widowhood, prostitution, feudal system, poverty, colonialism and on the Indias freedom movement. Premchand started taking an interest in political affairs while at Kanpur during the late 1900s, and this is reflected in his early works, which have patriotic overtones. His political thoughts were initially influenced by the moderate Indian National Congress leader Gopal Krishna Gokhale, but later, he moved towards the more extremist Bal Gangadhar Tilak. He considered the Minto Morley Reforms and the Montagu Chelmsford Reforms as inadequate, and supported greater political freedom. Several of his early works, such as A Little Trick and A Moral Victory, satirised the Indians who cooperated with the British Government. He did not specifically mention the British in his some of his stories, due to strong government censorship, but disguised his opposition in settings from the medieval era and the foreign history. He was also influenced by the teachings of Swami Vivekananda. Satyajit Ray filmed two of Premchands works Sadgati and Shatranj Ke Khiladi. Sadgati (Salvation) is a short story revolving around poor Dukhi, who dies of exhaustion while hewing wood for a paltry favour. Shatranj ke Khiladi (The Chess Players) revolved around the decadence of nawabi Lucknow, where the obsession with a game consumes the players, making them oblivious of their responsibilities in the midst of a crisis.Sevasadan (first published in 1918) was made into a film with M.S. Subbulakshmi in the lead role. The novel is set in Varanasi, the holy city of Hindus. Sevasadan (House of Service) is an institute built for the daughters of courtesans. The lead of the novel is a beautiful, intelligent and talented girl called Suman. She belongs to a high caste. She is married to a much older, tyrannical man. She realises that a loveless marriage is just like prostitution except that there is only one client. Bholi, a courtesan, lives opposite Suman. Suman realises that Bholi is outside purdah, while she is inside it. Suman leaves her husband and becomes a successful entertainer of gentlemen. But after a brief period of success, she ends up as a victim of a political drama played out by self righteous Hindu social reformers and moralists.The Actor Factor Theatre Company, a young Delhi based theatre group, staged Kafan in 2010 in New Delhi. It is an original stage adaptation of Premchands short story. Kafan is a dark comedy. In the play, puppetry is explored to depict the tussle between two classes and the plight of Budhia, who is caught in the crossfire. Bleakness of hope in the story and awfulness of the father son duo find a delicate balance. At times the situations break into morbid humour. In the end a wine house becomes the stage for Ghisu (father) and Madhavs (son) rebellious dance, defying not only the laws of the land but also that of the Gods. 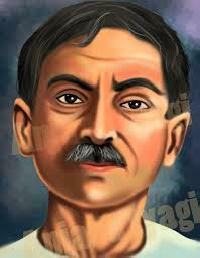 After leaving Bombay, Premchand wanted to settle in Allahabad, where his sons Sripat Rai and Amrit Rai were studying. He also planned to publish Hans from there. 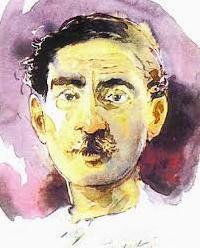 However, owing to his financial situation and ill health, he had to hand over Hans to the Indian Literary Counsel and move to Benares.Premchand was elected as the first President of the Progressive Writers Association in Lucknow, in 1936. He died on 8 October 1936, after several days of sickness. In 1936, Premchand also published Kafan (Shroud), in which a poor man collects money for the funeral rites of his dead wife, but spends it on food and drink. Premchands last published story was Cricket Match, which appeared in Zamana in 1938 , after his death.